Our Sparkle Arts Sunday Lunch is back on 28 April and we’re serving up a special roast for families. Sparkle Arts specialise in Performing Arts classes for children bringing magical themes to life through dance, drama and music. The team will be on hand to entertain your children with performances, costumes, props and puppets while you dine and it’s all for charity. 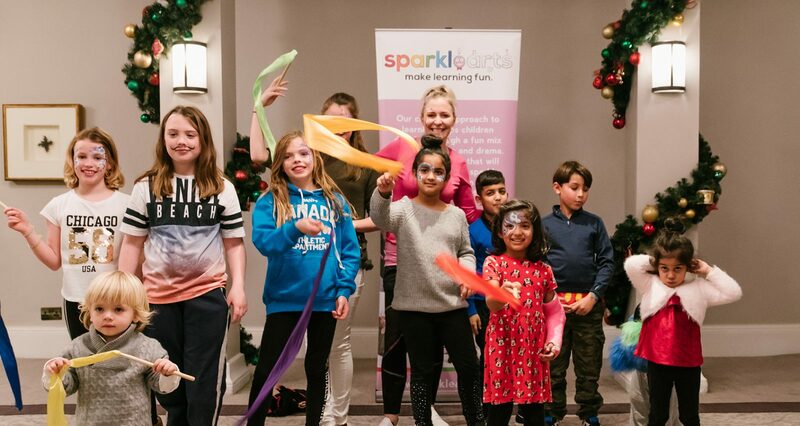 Sparkle Arts is kindly donating all fees to our nominated charity for 2019 – CHAS – Children’s Hospices Across Scotland. Your little one’s imaginations will be inspired with two magical Pirates and Princesses themed classes, suitable for ages three up to 12-years-old and they’ll enjoy a complimentary hot buffet with sweet treats as part of the package, which takes the stress out of Sunday cooking! The classes are being held at 12.30pm and 3pm with places available to those adults dining on the Sunday Lunch menu. The Sunday service includes a sirloin of Tweed Valley beef as well as a weekly special or a tasty vegetarian option, all accompanied with a delicious gravy and all the trimmings; with Printing Press favourites to start and finish. All that we’d ask is a donation per child per class with the funds going directly to CHAS. There are only 25 Sparkle Arts places available for each sitting so don’t delay. For those children not participating in the class, under-12s can dine for half price with under-fours dining for free. To pre-book your Sparkle Arts Sunday Special head over to our Eventbrite page.